Home » British Trade Policy » Free Trade or Protectionism for a Strong UK Economy? Free Trade or Protectionism for a Strong UK Economy? Prime Minister Theresa May says that Britain must be a free trading nation to boost the UK economy and to better serve the aspirations of millions of Britons. And Britain’s leader is correct, as history has proven that free trading nations outperform non-free-trading nations. From the seafaring Phoenicians of classical antiquity to the former British colony that became a superpower called the United States of America; Free trade and hard work have built our shared civilization, and any country that withdrew from free trade or liberalized trade agreements, consequently declined. That’s not to say that other economic practices don’t have merit, because they do. However, a group of non-free-trade nations will always be surpassed by a comparable group of free trade nations — due to the symbiotic nature of free trading relationships which produce small but measurable amounts of synergy that accumulate over time. It’s the easier access to raw materials, the lower labour costs, and the ability to access larger export markets that make free trade work so well, but the ‘icing on the cake’ is the synergy produced by the symbiotic relationships which aggregate and thereby increase corporate profits and investor dividends that are often reinvested in the growing corporation. Over time, all this synergistic activity results in far greater outcomes than otherwise would’ve been the case. The British Empire in all it’s glory was built on free trade with many partners, but in 2017 it’s even more important for Britain to be a free trading nation. A perceived problem occurs when vast disparities are present, such as when one nation is blessed with abundant raw resources allowing it to basically dig money out of the ground which eventually accumulates into billions or even trillions of dollars, while another country in the same trading bloc may have few natural resources. As long as all partners within the trading bloc have equal access to those raw resources, such problems are likely to be nothing more than minor jealousies. Countries like the United States, Canada, Norway, Saudi Arabia and the United Arab Emirates have vast petroleum reserves, and importantly, good economic stewardship — which allowed them both rapid growth for the economy and a high standard of living for their citizens. It’s telling to note they are free trading nations — while other countries blessed with large petroleum reserves but restrictive international trading arrangements, haven’t prospered. Venezuela (the country with the world’s largest proved oil reserves) along with Libya and Nigeria, have poorer development due to their historically somewhat less than free trade practices. For economists, those nations serve as a warning to politicians considering the adoption of less liberal trade policies or outright protectionism. Such disparities between nations, unless handled carefully, can result in explosive economic and political consequences. It’s easy for some to forget that free trade and globalization are two different things. Free trade relates to the removal of tariffs, or at least the standardization of low tariff rates between member nations of the same trading bloc, while globalization refers to a highly interconnected political and economic world of which trade of any kind, whether free or not, is merely part of a large picture. Those who feel left behind by globalization (and there are millions) tend to blame free trade, when in fact it was free trade that created a booming global economy from 1982 through 2007 (and a somewhat less booming economy) from 2012 through 2016. Led by global elites, the rush to create high growth and high GDP meant that quality of life fell steeply for millions of Westerners for the first time since WWII due to the offshoring of Western jobs to countries with lower labour costs and non-existent environmental regulations. Britain must ensure that globalization and free trade work for every Commonwealth citizen. Westerners have enjoyed unprecedented low-cost, quality goods manufactured in other countries. Two examples of this are; 1) the Apple iPhone, which, if manufactured in the United States would have cost $2800. each, instead of the typical $650.-$950. price range. The iPhone wouldn’t have ever seen production if it hadn’t been manufactured in Asia. Over one billion have been sold since the first iPhone hit the market. And; 2) almost every computer chip in the world was manufactured in Taiwan, an industrious country with a very diligent workforce, but few natural resources. Computer chips have cost an average of $40. since Taiwan’s entry into the semi-conductor business, but if manufactured in the United States those chips would’ve cost hundreds of dollars each. While low-cost goods are welcome in the West, people in the bottom quintiles now wish for a return to high paying employment and would gladly forego low-priced goods. Which is exactly what the election of Donald Trump is all about. ‘Cheap goods are great, but we’d rather have jobs!’ — seems to be the main message there. It’s difficult to blame those who harbour such resentments when 3/5ths of the population are doing less well, while only 2/5ths feel they have progressed in recent years. Yet to blame the very free trade agreements that brought wealth to Western nations displays a lack of understanding of how globalization works vs. how free trade agreements work. Free trade creates additional economic activity (with many virtuous cycles, which are always a good thing) while unrestricted globalization (under existing personal tax laws) rewards the top-two quintiles at the expense of the bottom-three quintiles. And it’s this fundamental misunderstanding which have people in an anti-free-trade mood — when instead, they should be protesting against global elites, unfettered globalization, and crass-and-uncaring politicians. 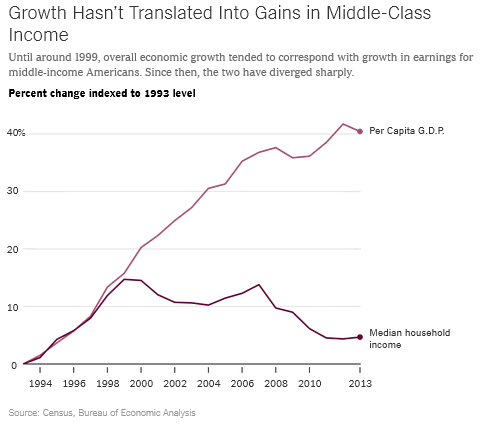 Had the global elites applied as much effort to ensuring that globalization worked for every economic quintile instead of the top-two quintiles exclusively, movements such as Occupy Wall Street along with the general disenchantment voiced by the public against politicians and economists wouldn’t have materialized. Ever. When it works for everyone, there’s no complaining. PM Theresa May and Chancellor Philip Hammond should work to obtain a mutually-beneficial free trade agreement between all Commonwealth countries as part of a Tier 1 trade accord. Such an agreement should ensure there are no tariffs, levies, nor other trade impediments — save for a highly standardized and reciprocal 5% tariff on all goods — except books (in any form) or those medicines that actually save lives, because principles do matter. A more educated and healthier Commonwealth are desirable outcomes. No VAT taxes or tariffs should be levied on books or life-saving medicines, ever. Anywhere on the planet, IMHO. What the 5% tariff would do for all signatory countries is to pay for upgraded port facilities and enhanced security at ports, railways, and for cargo ships at sea. A Tier 2 trade accord should be negotiated with nations that aren’t Commonwealth members with a standardized and reciprocal tariff of 10% — except for books and life-saving medicines which should be tariff-free and VAT-free in every case. As long as the trade partners agree to standardized and reciprocal tariffs, such tariffs won’t break WTO tariff rules. And such revenue could enhance port security, of course, but could also be used to pay for additional infrastructure programmes to put millions of workers back on the job. Finally, a Tier 3 trading scheme could be created for those nations that won’t agree to a standardized list of tariffable items at a standardized and reciprocal rate, and won’t agree to not tariff books and life-saving medicines, and that tariff could be 25% on all imported items until the day arrives that country begins to abide by the Tier 2 trading rules. In all three scenarios it puts the UK government firmly in the drivers’ seat in regards to imported goods and guides UK trading partners towards Tier 2, or even Tier 1 status. The goal is to arrive at a situation whereby every nation willingly decides to join The Commonwealth in order to gain free trading status with the Commonwealth and agrees to a nominal, standardized, and reciprocal 5% tariff regime on every good except books and life-saving medicines. It is still free trade, but with a nominal, built-in tariff designed to enhance port facilities and streamline security in all partner nations. What to do with the revenue generated by such tariffs? The main point is to upgrade existing port facilities, to increase security at Britain’s ports, and at reciprocal trade partner ports to ensure the security of ships at sea and the thousands of kilometres of rail lines that carry freight. Any remaining tariff revenue could be used to soften the economic blows to those in the bottom-two quintiles who have suffered quite enough over the past 16 years. Whether used to boost social welfare rates (good) or to boost national infrastructure spending (better) or both (best) it will be money well spent, and it would be revenue that arrived in the government hand via imported goods. Which seems fitting, doesn’t it? By Letter to Britain in British Trade Policy, International Trade, UK, UK economy on January 17, 2017 . John, what kind of synergies to you foresee with Brexit? I understand that the UK had to cut or diminish important ties with Commonwealth countries to join what is now the EU. I don’t want to badmouth the EU, but it can take up to 8 years to get a trade deal done (CETA) so the one positive I see right away is that Britain will get trade deals done much faster, say in the same timeframe as the U.S. does (18 months on average) and perhaps even faster. However, the ability to gain rapid trade deals in itself, isn’t a synergy. Just that it’s almost impossible to have any kind of synergy under the (up to) 8 year timeframes for EU trade deals to be negotiated and signed. If all Commonwealth nations accepted the Standardized and Reciprocal Tariff Regime I’ve proposed to be set at 5%, I think resource-rich Commonwealth nations would suddenly come out of their economic doldrums as Britain began an official government programme of trying to source as much of their resources as possible from fellow Commonwealth nations (which would occur organically, due to the preferential 5% tariff regime for Commonwealth nations) and London’s financial district would reap the rewards of investment in those burgeoning economies. Also, due to the lower tariffs between Commonwealth nations, some amount of outsourcing might occur, allowing British manufacturers to gain a price advantage for the home market, the Commonwealth market, and the global market. For fun, let’s say that Britain has much of the world’s wheelbarrow market for home gardeners and hobby farms. The UK company can buy the rolled steel from Tata Steel in India, have their own subsidiary company near the Tata steel plant shape all the metal parts there and ship wheelbarrows to the UK and all over the world, right from India. Labour and steel costs are low in India, tariff levels would be low vis-à-vis the UK, and shipping is shipping (so that part is unaffected) allowing all of the design, engineering, sales, marketing, and websites to be run from London. Additionally, London financiers would provide the loans to the British company located in a friendly, low risk, Commonwealth nation. If you look at this catalogue link, there are thousands of metal and other parts that could be sourced in India, a huge centre of raw materials, low cost labour, and global reach. For such companies; Commonwealth partnerships, a low tariff regime, and strong links to London financing are priceless. In short; British/Indian 50/50 ownership, Make in India, Ship from India, Finance from London, Head Office in London, and high profits for British, Indian, and other shareholders. 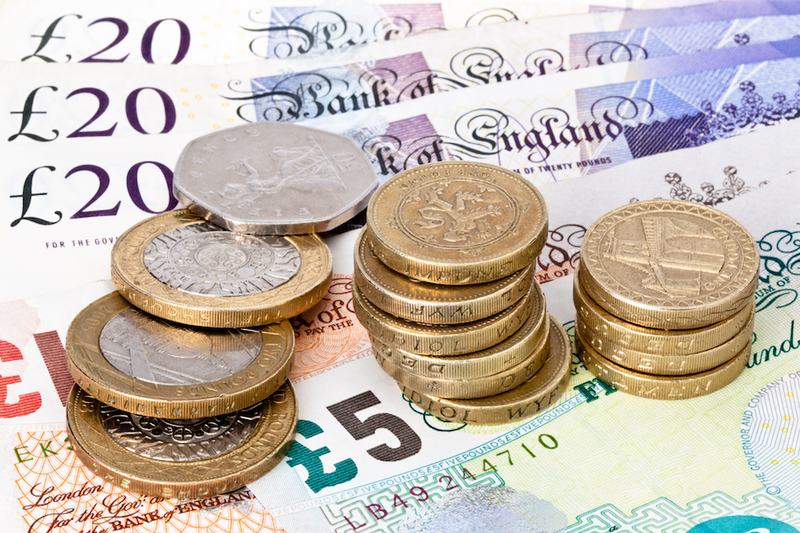 The benefits of preferential treatment due to Commonwealth membership: A-stock shares for Commonwealth investors, B-stock shares for non-Commonwealth investors. British business owners, London bankers, investors from every Commonwealth nation, blue-collar workers in India, white-collar workers in the UK — will be screaming for this opportunity (eventuality?) to arrive. It’s all good, no downside. A license to print money. One example of synergy was a fighter plane, the P-51 Mustang. One way to prepare for war was to import war planes. Indeed, the outnumbered Hurricanes and Spitfires were just barely adequate for the Battle of Britain. The British purchasing commission considered the Curtis P-40 fighter. Indeed, the British approached North American Aviation, which had supplied trainers. The idea was that North American would build P-40s under license. The management had a counter proposal-North American would build a new design for the British. The new plane-named the Mustang by the British-was quickly built. It had its limitations at high altitude, but was useful in a ground attack role. In the later versions, the Allison engine was replaced by the Rolls-Royce Merlin engine (which was used in the Spitfire), improving high altitude performance. This led to the iconic Mustang fighter. So, was the P-51 a U.S. design? A British design? It was a product of the 1940s. With catalysts such as the Internet and jet airliners, will we see more synergies between English speaking countries? BTW, one almost gets the impression that the British were dealing with a British company. The relationship was more intimate than simply buying a product from a foreign company. To borrow a term from Peter Zeihan, it could be described as a “near domestic” situation. Thank you for refreshing my memory on all of that! It is perhaps the best example of synergy between nations and corporations. John, I believe that entertainment is another field of collaboration. The most obvious example would be casting from several different Anglosphere countries. I strongly support your thinking on this. There are so many ways that the Anglosphere could cooperate for mutual benefit, it would be criminal to not explore every option for Anglo nations to work together. Well, I took a look at “Merger of the Century” by Diane Francis. My opinion is that she is trying to do things the hard way-political union between the USA and Canada. Merge them into one country. In terms of economics (much of the book is concerned with economics) a new trade grouping would be so much easier to implement/make work. Francis did suggest a fashionable alternative, an EU type organization. She also suggested a grouping that would include Australia, New Zealand, and the UK. Although I like and respect Diane Francis as a serious journalist and book authour, I certainly don’t agree with the simplistic idea of merging the United States and Canada. All of which means, that while most Americans and Canadians are descendants of their European ancestors, we are separate people — but wishing each other the best. “Children of a common Mother” do not force their views, worldview, or concepts, on the other child. Nor do they otherwise project (in the psychological sense) onto the other person (or country) in a normal relationship. A mutually-beneficial trade arrangement (along with a simplified, but technologically advanced biometric passporting system between the member nations) between the UK, the United States, Canada, Australia and New Zealand (and hopefully, Mexico too) is an emimently logical idea, that should be priority Number One for PM Theresa May the day after official Brexit occurs, IMHO. Fun Fact: There are pieces of the original Mayflower ship that brought European immigrants to America, encased in the Peace Arch structure. 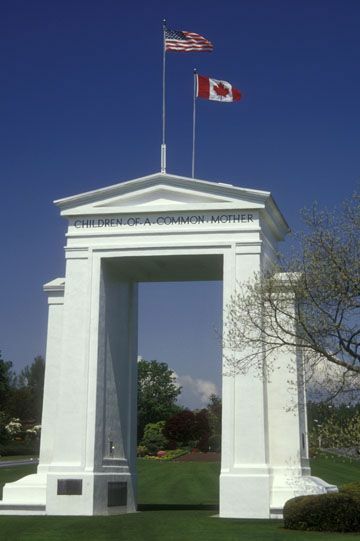 As far as I’m concerned, there should be a replica of this monument at every Canada/United States border crossing, to remind us of who we are, and of our higher ideals. James Bennet, author of the “Anglosphere Challenge”, discussed both the Commonwealth (an amorphous, nonState form) and the Hanseatic League. He suggested the Hanseatic League as a model for a Network Commonwealth. The EU, in contrast, has been compared to the Holy Roman Empire. I have to agree that political union would be over kill. Francis herself indicated that trying to make political union work would be difficult. The same with the European Union as a model. Sounds like a ‘Win-Win’ plan to me. And that’s what we need (always, but especially these days) for harmonized relations between the Anglo nations. One thing that Francis brought up-in terms of international trade-is “reciprocity”. Or lack of it. Trade deals which are one sided, which are a bad deal for Canada. Francis warned about state capitalism, and foreign powers that want to grab/strip mine Canada’s natural resources. Based on her comments, one gets a vision of vultures circling a map of Canada. Of course, countries such as Australia and New Zealand are similarly vulnerable. Yes, it is a bit like that. They are a huge and powerful country — but even so; Trade, defense, and movement of people agreements must be based on fairness and must always be framed in a ‘Win-Win’ context. Good points about “Win Win”, John. Which answers the question posed by the title. The UK, and other countries, should look for Win Win relationships in terms of trade. And be wary of Win/Lose. Do not, I repeat do not, sign anything with a government trying to foist Win/Lose on you. Unfortunately for the British, they may appear desperate for trade deals to other governments. Seemingly weak, needy, and thus easy to take advantage of. I don’t know the details yet, but I would assume that the topic of trade came up during the meeting of May and Trump. Which may be illegal in the eyes of EU officials. I too, wondered the same thing. One point in May’s favour is that Australia, New Zealand and Canada have all agreed to pursue free trade agreements with the UK following Brexit. Which causes me to think that if the conversation is of a general nature (agreement to, in the future, discuss free trade) than there is little the EU politburo can do about it. As the EU has rules for everything, from how much butter you can put on your toast, to the maximum size for the fuel tank in your car, May is perhaps wise to keep trade conversations of a general nature. Something just occurred to me…. Could there be individuals-not affiliated with any government-developing model trade agreements online? I’m thinking of people who know more about economics/trade than I do. I’m thinking that someone might have, in effect, a template that could become the basis for trade talks, ready to go when Brexit is complete. That might be one way to speed things up, while bypassing the EU.